We have just released a new version of Bee Mobile iPack – 3.2.7. 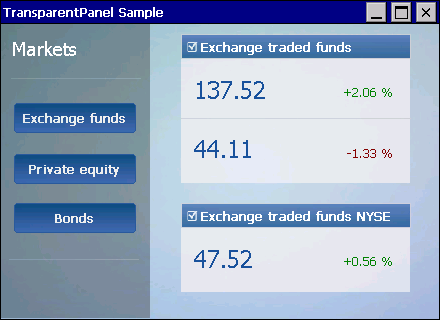 The new version contains update to numerous controls as well as one brand new control – TransparentPanel. TransparentPanel is a control container for your iPack . If you want to group them or underlay with fancy images or basic shapes, the TransparentPanel is the best way to do this. It supports transparency, so your application with translucent glass design will stand out from the crowd. You can download a free trial version of Bee Mobile iPack here.